A while back, having nothing better to do, I set about creating an image with all the RGB colours. Yes, that’s right. All 16.8 million. 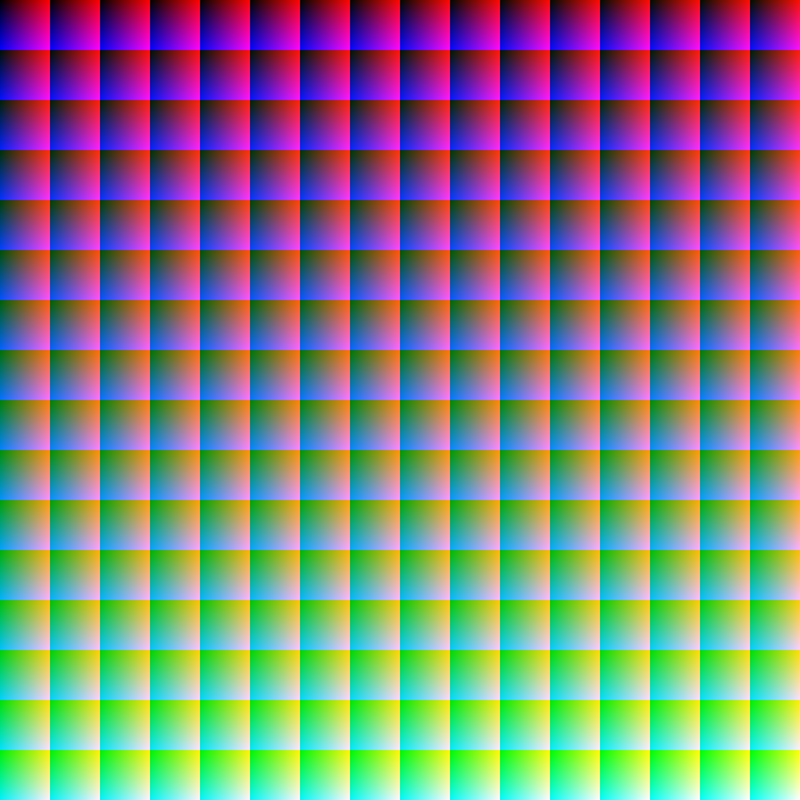 This little show of lunacy also turned out to be a great demonstration of the powers of the PNG image format: The graphic, being 16.8 million pixels and 24 bit colour, ends up a modest 50 MB uncompressed. The PNG format produces a 58.0 kB file. Before you take look at this (truly) colourful piece of art, I warn those with slow computers. Don’t let the light download trick you – the graphic packs a nice punch to the CPU if you’re on something like 400 MHz. Update 2: I created another version of the ordered image, with the squares laid out along the diagonal of the image instead. This one (78 kB) didn’t compress quite as well as the first one (58 kB). 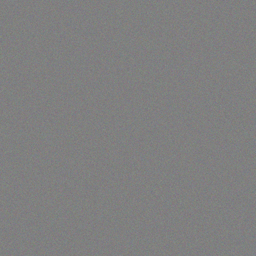 Edit 2011-06-30: Was inspired by one of the comments to try and compress the 58 kB png file. IzArc can create a 7z file which is only 705 bytes large! That is 1/71436th the size of the uncompressed image in Tiff format. That’s pretty impressive stuff! Posted at 01:25. Categories: Uncategorized. Both comments and trackbacks are closed. The approximate value of 1/2^24! is 1.2174221e-113924436. Hey there. Some time ago, I started a little project called allRGB. So far I have posted 11 creations myself (see entries), and I was wondering if you would be willing to contribute. Cheers! 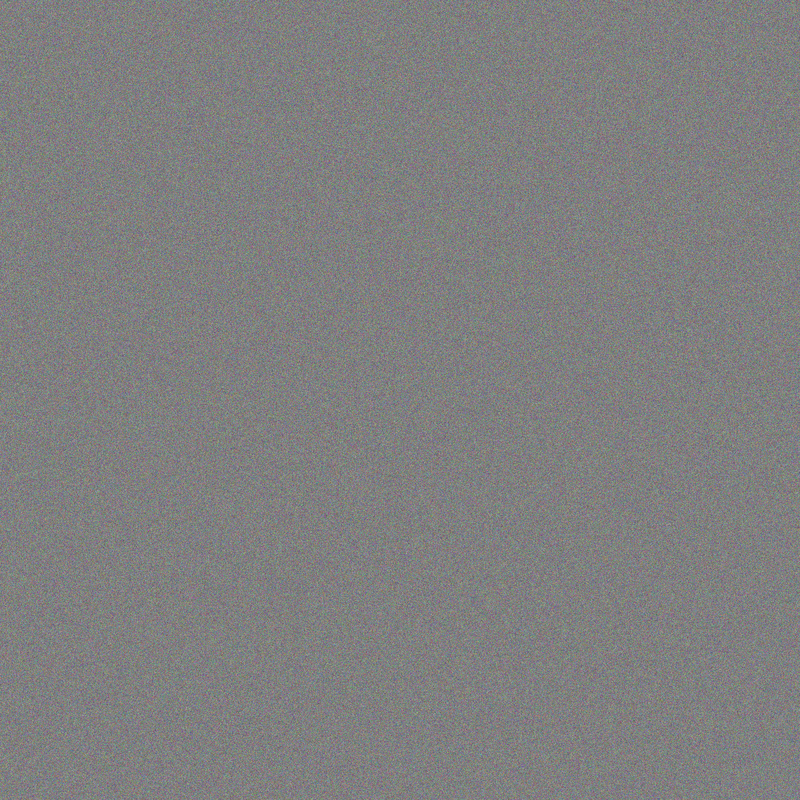 If you open the randomized picture in photoshop and use a gaussian blur at maximum blur you get exacly 50% black.Later. If you re-compress it with PNGOUT, you can shave another 6% off the size… and then compress that with WinRAR, it smashes it down to a teeny tiny 1.34kb.That's just 1/36,680th of the uncompressed [bitmap] size! Wow! Great work! 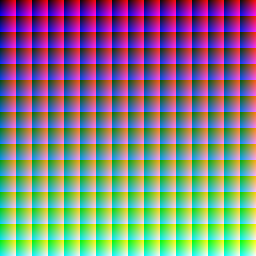 I counted how many pixels there are in one of the boxes (which there are 256*256 colors (since one row of one box consists of 256 colors), or 65536 colors). 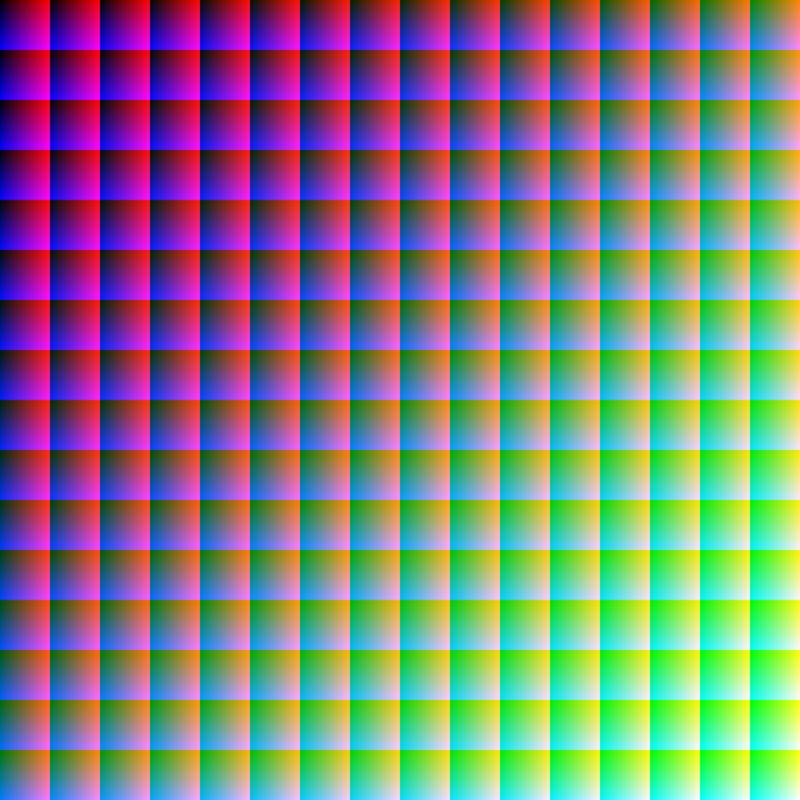 There are 256 boxes, so the total number of colors there are 65536*256, which equals 16777216 colors. Amazing! How did you make it? I once tried with Paint, but I failed, cause it takes too much time…To the mathematical challenge: There are 16777216! ways to arrange the colors. So, the possibility is 1/16777216! to get the random image. What software did you used? I believe I made it using Photoshop. I started off by making one of the small squares and then copying it 256 tims and adding one level of green for each square, somehow. No, for each of the 256 squares I increased the green by using a mask. Can't remember how exactly. « IE 7 beta to come this summer… yeah right!